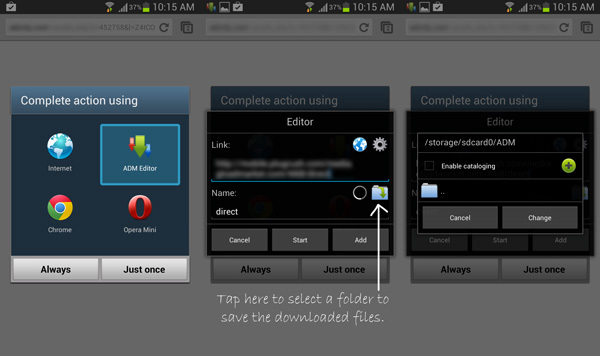 By default the android OS doesn’t offer a download manager for managing downloads. For everything downloaded using the default web browser, the downloads are automatically saved to downloads folder. But if you want to take control of your downloads, continue reading this article. When we need to download multiple files on windows, we make use of download managers to add multiple files to a queue and then the download manager will download them one by one. 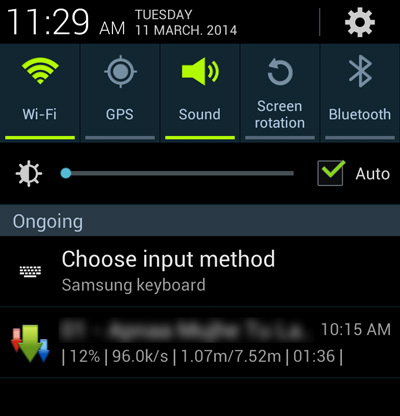 This is one of the many features that we miss sorely on our android phones. Fortunately, similar functions can be performed on your android phone using one of the many free download manager apps available on the play store. 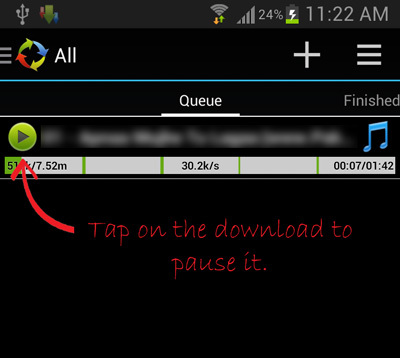 While there are hundreds of download manager apps on the Play store, here’s the one I have been using personally. Advanced download manager, is a free download manager app for android which provides you with all the basic functionalities that can be found in a download manager on windows. Once the app is installed on your android phone, you can tap on download links in a browser and you would be prompted to select an app for downloading the file. Simply tap on Advanced download managers icon and the file would be automatically downloaded by advanced download manager. If you want to view the progress of the downloads, you can slide the notification drawer on your android phone and view the progress of your downloads. In case you need to pause the download, open Advanced download manager and tap on the ongoing downloads to pause it, tapping on it once again will resume the downloads. The app even allows you to manually add links and queue them for downloading later. As far as I am concerned with the limitations of this app, the app can only download up to three files simultaneously, but you should be able to queue as many files as you need. Overall Advanced download manager is a excellent download manager app for android phones and for those who extensively use their android phones for downloading files from the internet, Advanced download manager is a must have app for you.